Over 25, I know that. Ultras-probably about the same. It was great to run through the Boroughs in <?<st1:State w:st="on">New York and I will always love the Flying Pig and Nashville Music City marathon. All food, really…oatmeal, cottage cheese, cupcakes. My husband, Jeff Campbell, who has a very impressive running history. “Impressive” really doesn’t do him justice. My friend, Roxanne, is great company for long trail runs, and I always look forward to running with my mom and sister when I am at home in Cincinnati. I just read “A Dog’s Purpose”. It was cute and I felt like I better understood why our new dog eats our furniture! “It never always gets harder” meaning at some point things will hit rock bottom and will then start to get better. I have found this to be true in 100 milers. It keeps me in shape and I enjoy it! It clears my head and gives me a sense of accomplishment. My best have always involved running with my mom. 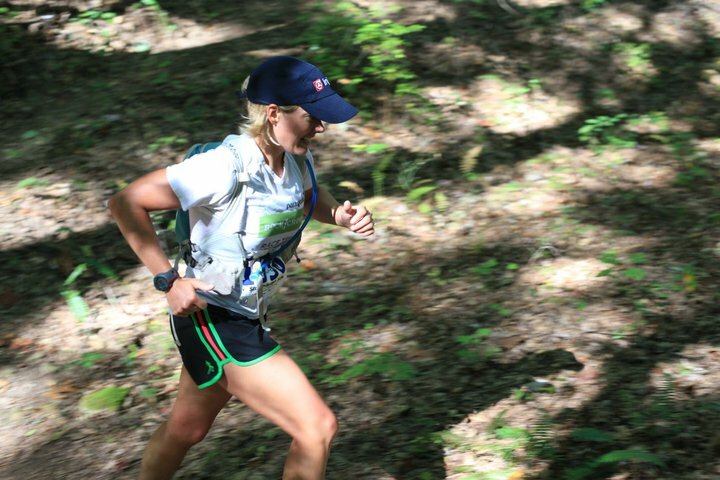 I have run a lot of marathons (most, really) by myself and they just haven’t been as fun. Much better to have a group to celebrate with once you cross the finish line. It is a great experience to be able to help someone reach their goal of running a marathon, or running another marathon better. I remember my early marathons and they were rough! If I can spare new marathoners some of the bloodshed and tears by sharing what running experience I have, then I am all for it!! I paced two girls who were seniors in college once. They were taking a fitness class and it was their first marathon. I also started running marathons in college and there wasn’t much support other than “your crazy-good luck with that” from my classmates, so it was nice to be able to help them by offering them support during their race. They did so well! Well, I enjoy running and I want them to enjoy the race. I don’t want to say it is a party, but we try to relax and keep the stress down. Hang in there during your training. That is the hard part! The race, with all the spectators and food, is the easy part. That is when you get to reap the benefits of your training. Eat well and don’t wear anything new-chaffing hurts! Relax…have confidence in yourself and your training. Don’t let a negative attitude or worry get in your way on race day. Prepare for what you can and just know that you are strong enough to get through what you can’t. I teach 9th grade math. That feels pretty philanthropic to me.